One of the smartest things about an Alarm.com-powered home is the proactive safeguards it provides for your family. Your system’s advanced technology detects potential danger and takes action on your behalf. Our Insights Engine, Geo-Services and Crash and Smash protection are all examples of proactive safeguards that work on their own, using Alarm.com’s cloud intelligence and real-time data from devices around your home. 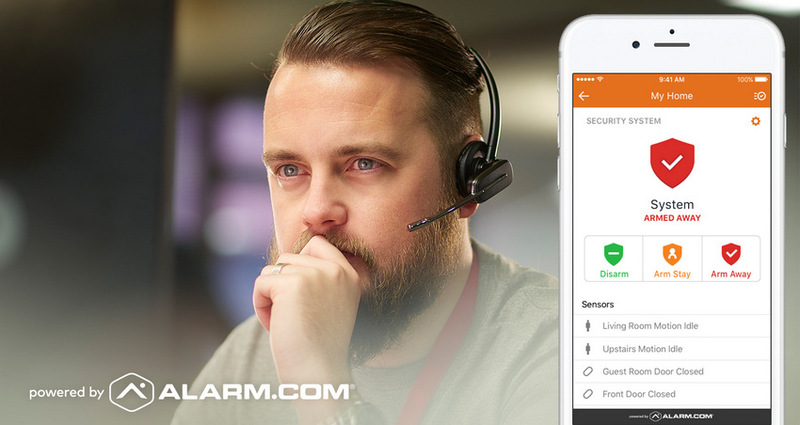 One proactive safeguard, however, has a human element: professional security monitoring, which is provided by every Alarm.com service provider. In an alarm event at your home-a break-in, or fire-an Alarm.com-powered security system sends an emergency signal, via dedicated cellular connection, to a 24-7 monitoring station. There, a trained security professional assesses the situation and quickly alerts your local law enforcement or fire department to the emergency. Alerts are easy to miss. What if you’re not available when a break-in happens? What if you’re at the gym, or swimming, or at the movies with your phone on “do not disturb”. Maybe you’re on an airplane, or even just asleep. It’s inconvenient. Checking every alert, sorting harmless activity from the suspicious, and investigating each one – 24/7 won’t be easy. So you might find a great price on the camera, but when you have to provide your own security, you’ll end up investing plenty of time. Take the real-life example from the video below. Springing into action to rescue his dogs didn’t leave Benjamin any extra time to contact the fire department but his home’s monitoring service had the job in hand. Firefighters were already on the way, and were able to save Benjamin’s and his neighbors’ homes. 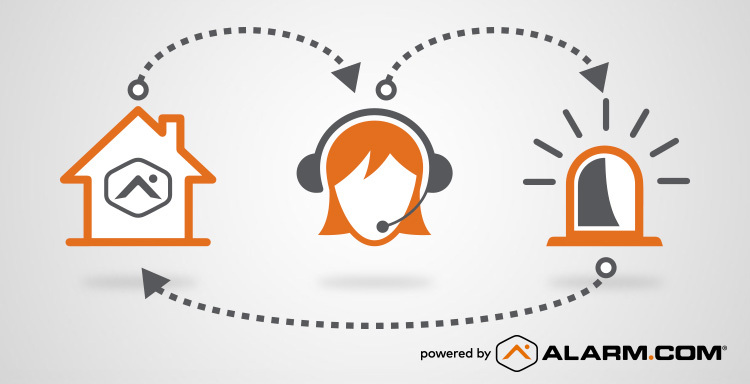 Professional monitoring is included with all Alarm.com-powered smart home security systems, alongside other security-grade features like crash and smash protection, or our dedicated cellular connection. It’s the only home security solution that delivers true protection and peace of mind.